Set in the peaceful suburb of Rangataua, our 5 bedroom cottage (+ sleep out) offers the perfect stay for those who are looking for a relaxing setting for their holiday. The flat landscape of Rangataua is the ideal environment for walking, riding bikes and horse riding. Our house is only a few minutes walk to the local Rangataua River, hunting forests, walking, cycling, and motorbike tracks. 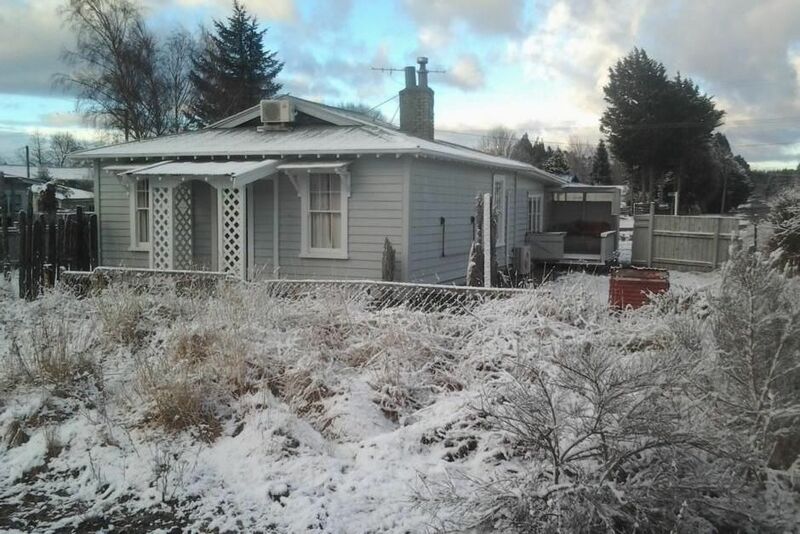 We are only a 5 minute drive to the heart of Ohakune and the same distance to the ski field's mountain road. Recently refurbished, we offer an extremely clean and comfortable place for your stay. The house is fully insulated and we have two heat pumps and an excellent wood burner in the main living area. There is plenty of wood to keep you warm. The house is well suited for two families and can even take a third family if you wish. If you need a response quickly, call me on 021 494 333. Close to Turoa, mountain biking, horse riding, walking tracks etc. Property is very comfortable and clean, plenty of room and Rangataua is a really nice little area. Property is very comfortable and clean, plenty of room and Rangataua is a really nice little area. First time we've been there in summer as opposed to winter and the views are great, 5 min from Ohakune and the shops. Fantastic trip again, even with the storm knocking us out about a bit! Very clean, lots of space and utilities. Impressed. We fitted loads if people comfortably. It was warm and welcoming.